There are no right or wrong ways to contract with your client. However if you follow a few basic rules you are much more likely to have success, make difference, and be rehired when the need arises. 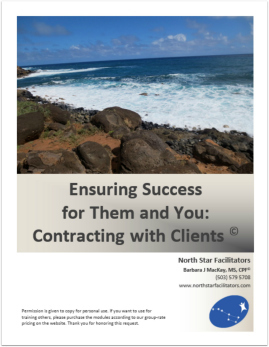 We provide sample questions to ask your client at each stage of the contracting process (yes there are stages), and self reflective exercises to help you prepare for success with every contract you negotiate. 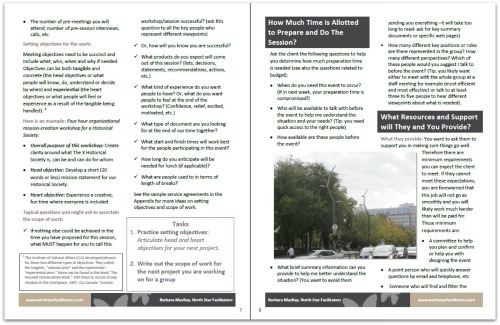 This module will help in-house and external facilitators, and those who offer other consulting services. Who really is the client?